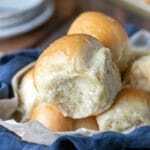 Soft 30 Minute Buttermilk Dinner Roll recipe that’s made from scratch in just half an hour! You’ll be amazed at how quick & easy they are! I absolutely love quick dinner roll recipes! 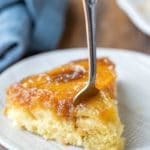 And this 30 Minute Buttermilk Roll Recipe doesn’t disappoint! The rolls are soft and tender (thank you, buttermilk!) with a mild flavor and a hint of sweetness. Because of their mild flavor, they work well with any number of dishes. These easy rolls are delicious! They would be equally at home on your holiday dinner table or alongside a quick weeknight dinner. 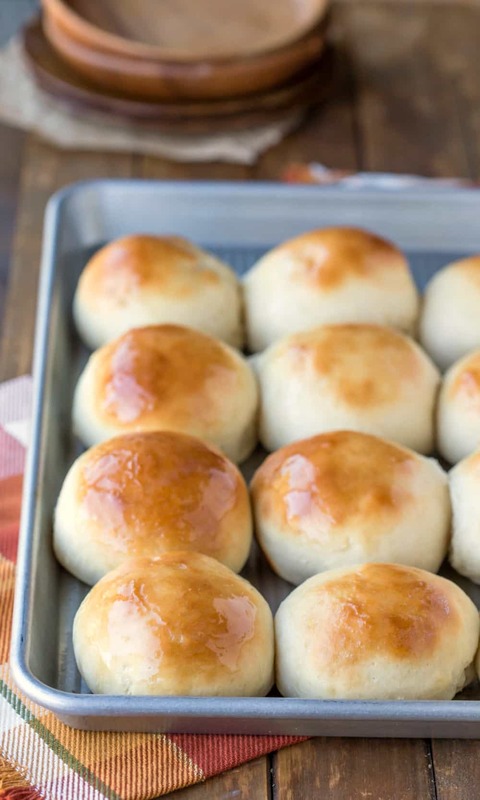 No matter when you make these rolls, you’ll be glad you did! More roll recipes that are ready in 60 minutes or less! If you’ve tried this 30 minute buttermilk roll recipe, don’t forget to rate the recipe and leave me a comment below. I love to hear from people who’ve made my recipes! You can SUBSCRIBE to receive my latest recipe newsletters or FOLLOW ME on FACEBOOK, INSTAGRAM and PINTEREST for even more delicious food. 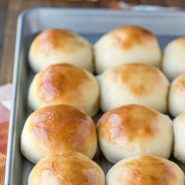 Soft buttermilk dinner rolls that are made from scratch in just 30 minutes! Preheat oven to 400 F. Lightly grease a half sheet pan or a 9x13-inch rimmed cookie sheet. When butter is mostly melted, stir in buttermilk, and heat mixture to 110 F.
Bake for 8-12 minutes, or until lightly golden brown. 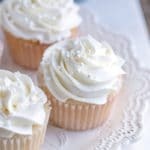 Just found this recipe. In the ingredient list you have 2 tablespoons of instant yeast. 1 table of yeast sounds an awlful lot for the amount of flour being used. Hey! The amount of yeast corresponds to the rising time, not the amount of flour in the recipe. That’s why you can use 1/2 teaspoon of yeast with 3 cups of flour in a no knead bread that has an 18 hour rising time versus 2 1/4 teaspoons of yeast and 3 cups of flour in a traditional roll dough with a 1.5 hour rising time. Since the rising time is so short for these rolls, the increased amount of yeast is necessary. Hope that helps! From what I read, dinner rolls need to be kneaded sufficiently so that the gluten forms long strings. When making biscuits, however, the biscuit dough is lightly mixed forming shorter strands of gluten. These two techniques result in the difference in texture. The instructions don’t tell you to knead the dough but just to take get from the mixer and form it into balls. 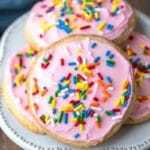 I’m going to try and make this recipe however I’m going to after the dough is finished mixing I’m going to need it until it’s elastic. Then I’ll shake my rolls and let it rise. I tried them today but had the wrong amount of yeast. Will try them again with two tablespoon of yeast. Do I need to let the yeast sit before I put the flower in? If you use instant yeast, you can just mix it in and keep going. If you use active dry yeast, you need to proof it (mix it with the sugar and liquid) and let it sit for 5-10 minutes, or until foamy, before continuing. Hope that helps! I’m sorry to hear that! 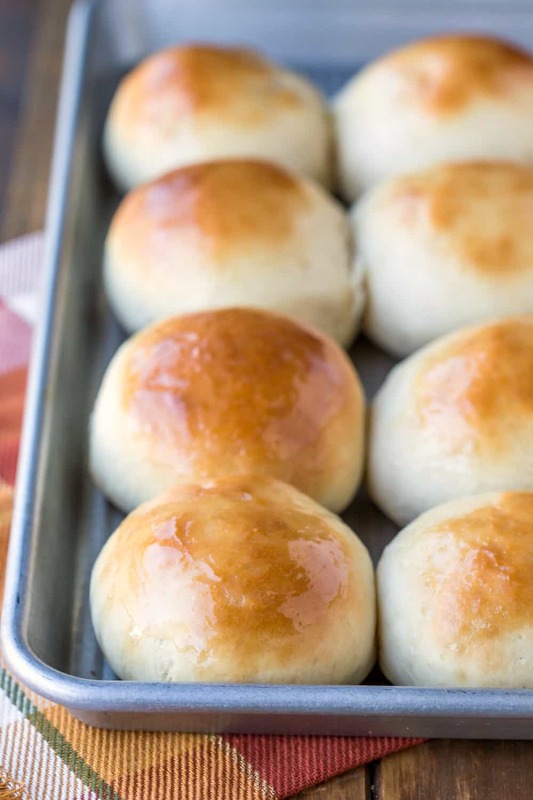 Since these rolls have such a quick rising time, it’s important that the water be warm enough (but not so hot that it kills the yeast) and that they rise in a warm spot. Do you think either of those things were issues? From what I read, dinner rolls need to be needed sufficiently so that the gluten forms long strings. When making biscuits, however, the biscuit dough is lightly mixed forming shorter strands of gluten. These two techniques result in the difference in texture. 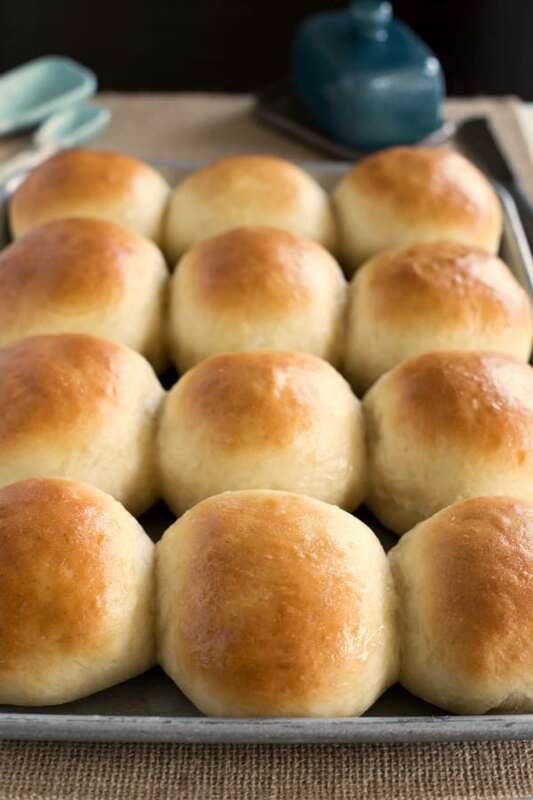 Tried these rolls, used 3 cups of flour, but they were more like a biscuit then a yeast dinner roll, family complained that they had no taste. I was expecting them to be very light and airy, mine turned out very dense. I’m sorry to hear that! They shouldn’t be dense like a biscuit. I’m happy to help you troubleshoot if you’d like.